As Fritz and I flew to Kerman, we were cheered to put the miseries of Bandar Abbas behind us. Yet we didn’t imagine how enjoyable, indeed how much of a compensation, the next adventure would be. 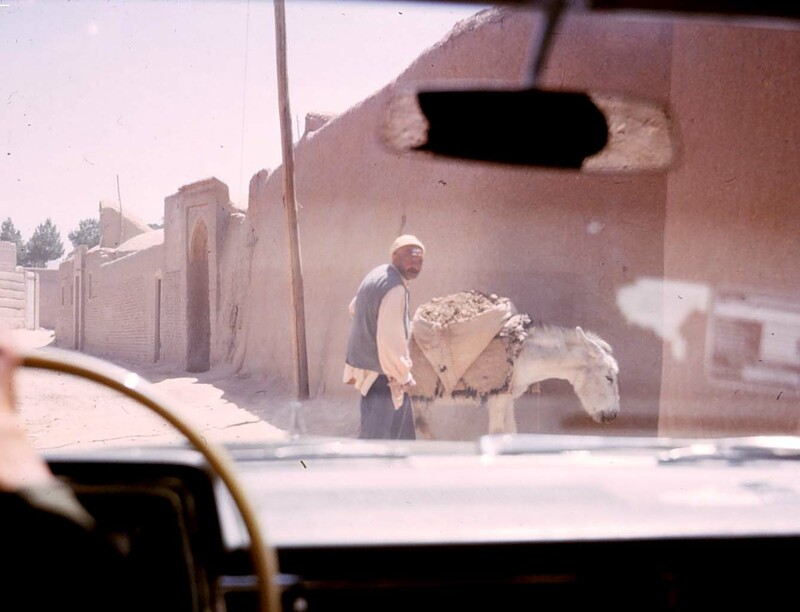 In 1967, Kerman had a population of about 140,000. It is located on a broad plain near the higher margins of the Lut Desert. At an elevation of about 5,800 feet above sea level, it presents a moderate climate of low humidity. 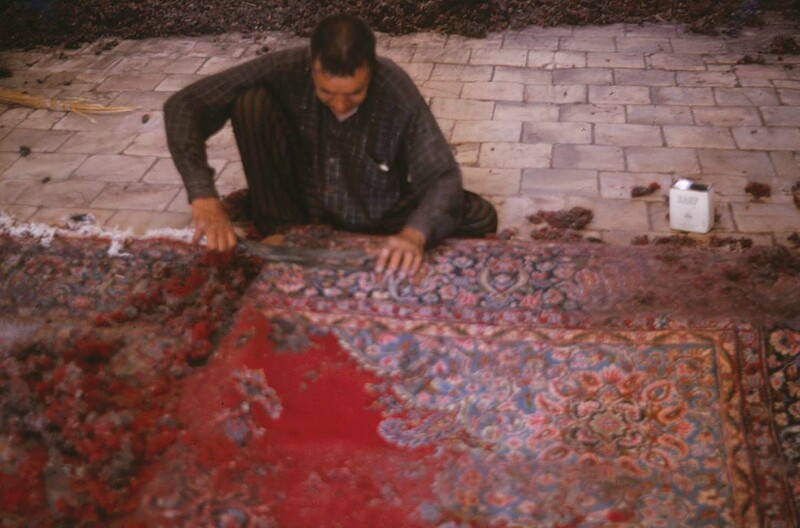 It is widely known for its creation of Kerman carpets, and the surrounding province of Kerman is one of the world’s leading producers of pistachio nuts. As we arrived, the first welcome was the vast improvement in the weather over that of Bandar Abbas. The daily temperature cycle seemed at least 20 degrees (Fahrenheit) cooler, and we were far removed from the oppressive humidity of the Persian Gulf shores. The next welcome was in the friendly hospitality of the Colonel commanding the local regiment of the Gendarmerie. He knew not a word of English, it seemed, nor did Fritz or I know any Farsi. We somehow communicated, and he treated us to delicious snacks while we all waited for an interpreter to arrive. 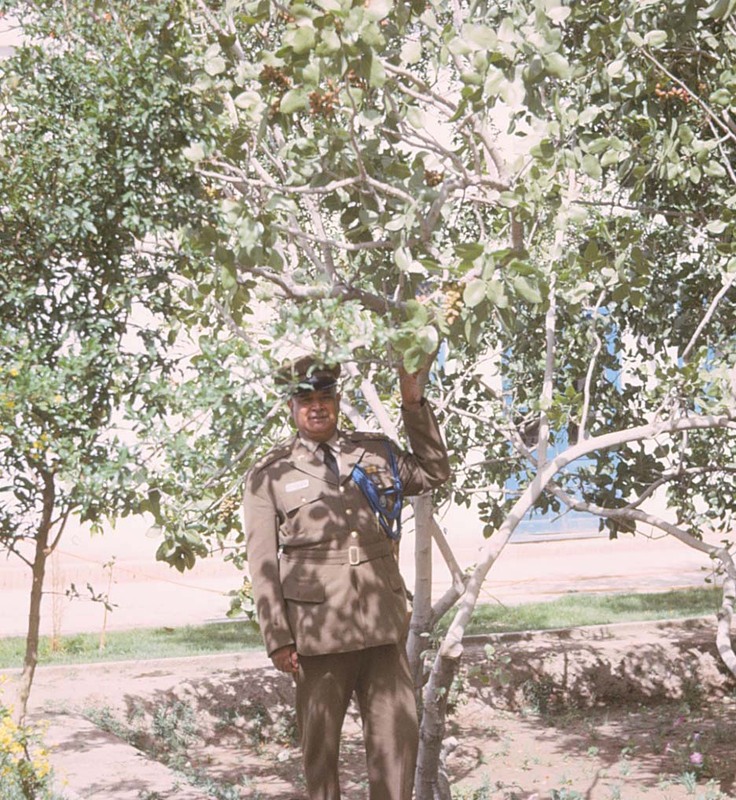 Highlights of the snacks were a juicy melon, and pistachios from the trees growing right outside his office – slightly unripe, but already tasty and a matter of great pride to him. Of course, we didn’t mention the diarrhea that had been afflicting Fritz and me for nearly a month. It seemed better to enjoy the snacks and worry later about the consequences. Aside from the usual project work we did while in Kerman, the highlight of the visit was a tour of the local carpet factory. As we approached it, we passed through a very narrow street, an alley, barely wide enough for our auto. Here we came upon an elderly man guiding his donkey, laden with bags that seemed to contain sheep’s wool. Fortunately, there was an alcove where the two of them could escape from our path. This man and his beast were definitely photogenic, but we were aware of sensitivities among Iranians regarding picture-taking. In some cases this was a religious scruple having to do with graven images, in others it involved a wish to be paid for posing. I felt that I could get a picture unobtrusively from the inside of the car, viewing through the windshield as shown below. Looking backward down the street, we saw the old man running toward us, smiling broadly, and holding the lens up high for us to see. He brought it to us and seemed overjoyed at the opportunity to be of help. We thanked him profusely and quickly assembled a cash gift – by now, we were feeling guilt over the bother of the lens and also over the picture I had taken surreptitiously. All of us – except the donkey – parted in cheerful spirits. 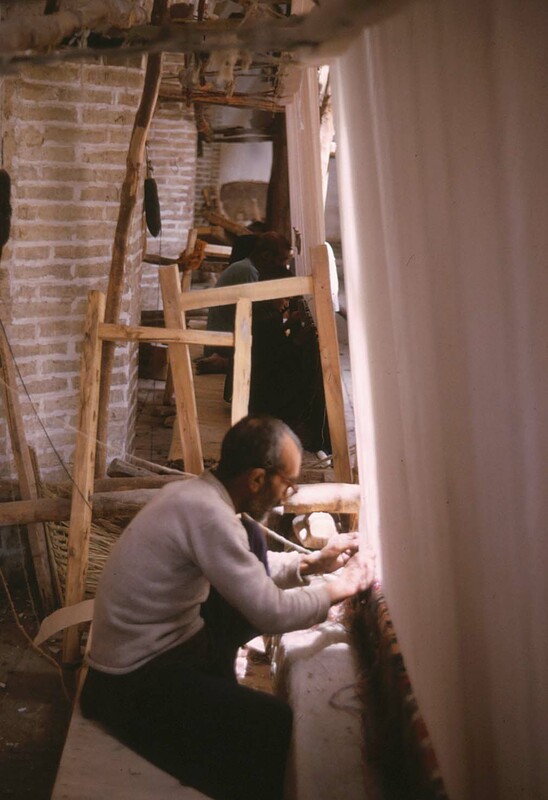 Our first stop at the carpet factory was in the drafting shop, where an artist was preparing a new design. 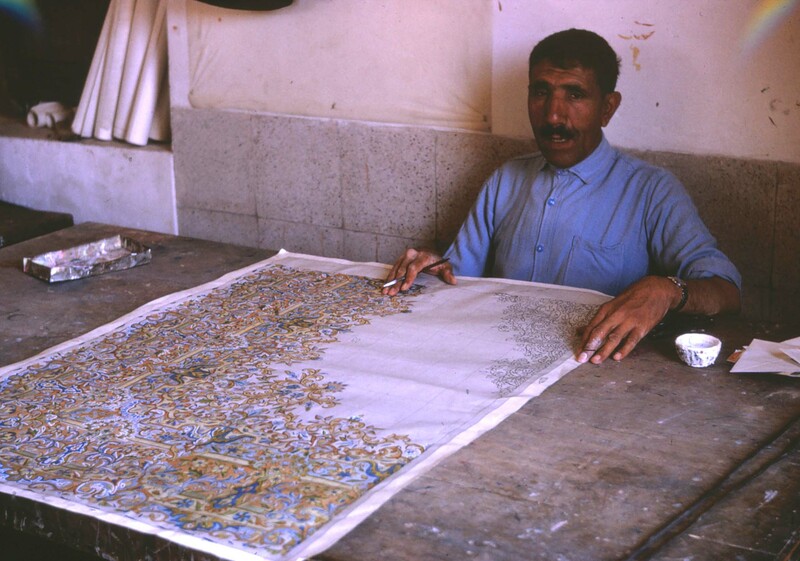 He worked on a sheet of quad ruled paper, each tiny square the size of one hand-tied knot. He started with black lines outlining the boundaries within the design, as shown in the portion near his left hand. As shown in the remaining portions, he then proceeded to color each square, showing the color of the woolen knot that would be applied there. The sheet covered one corner of the design. This would be sufficient for a small rug, since the one corner would be repeated symmetrically on the loom to produce the other three. In the case of larger carpets, he would also need to design the straight zones along each side and end, between the corners. Our next stop was in the dyeing area, where a series of large stone vats contained sheep’s wool immersed in boiling hot water, each vat containing a different dye. 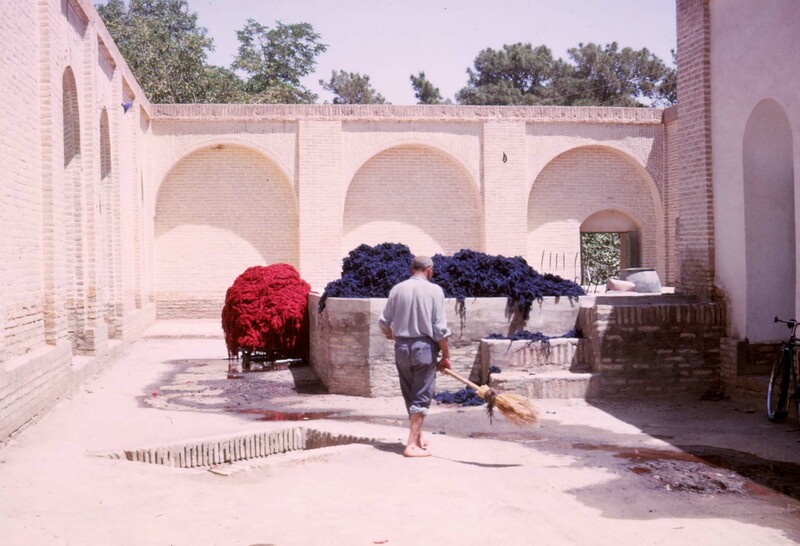 From here, the dyed wool was hauled out into the open air for drying. The dried wool was then carded. This was a combing process consisting of drawing two wooden paddles, each studded with numerous small nails, across each other with the wool in between. This would align the wool into straight, parallel fibers that could be pinched off by hand in bunches, each of exactly the right size to make one knot in the design. This was the first of many tests of the weaver’s skill. The fiber bunches were approximately three to four inches long. They were now ready for the loom. 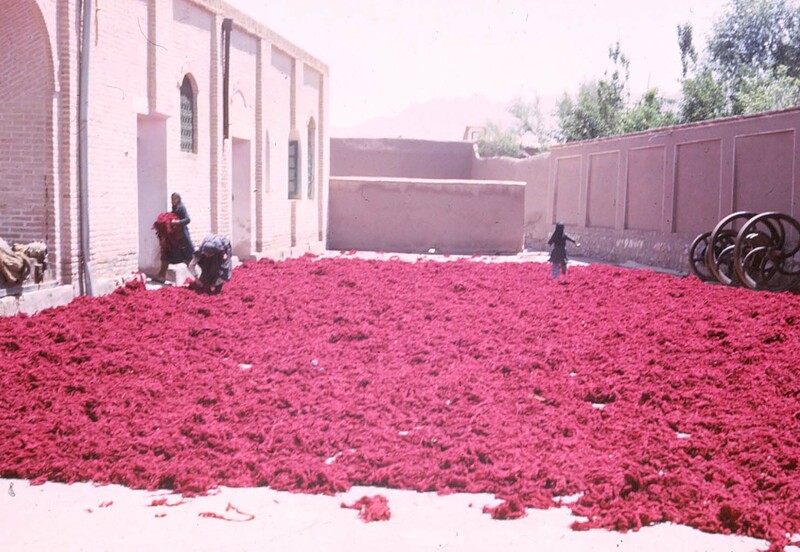 There was no spinning for the ordinary knots – the wool was spun only to make threads or yarns for specific applications, such as the fringe or borders of the carpet or the warp threads on the loom. We next proceeded to the weaving area, where we saw an elderly weaver studying the design charts. He would commit the design to memory, because during the weaving his eyes would be on the knots themselves. He then pinched off the individual bunches – exact size critical as mentioned above –wrapped each bunch around two of the warp threads, and tied a knot. The excess length of these bunches would produce a shaggy effect on the top surface of the carpet. As he wove, he chanted a song, somewhat tuneless and repetitive. We were told that he was describing the placement and color of each knot. We soon learned that he had an assistant, a very young girl who followed his chanted instructions to produce the symmetrical image of the design on the opposite corner of the carpet. When my camera came out, she hid bashfully behind the loom. I would not invade that privacy, but I did get a picture of the loom, revealing along its right edge the toes of one bare foot, one hand and forearm, and the outline of her head appearing as a vague shadow through the warp threads (to enlarge the picture, click on it once). 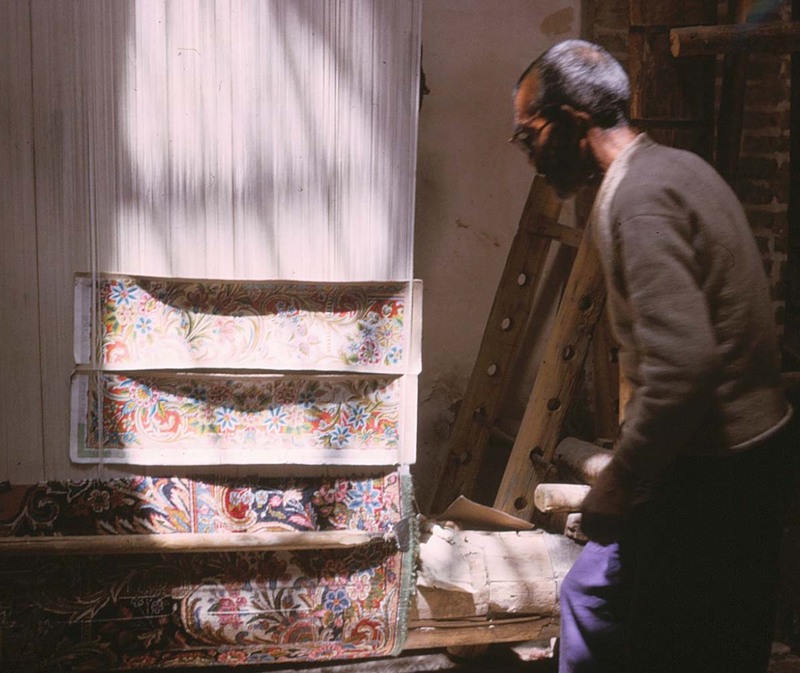 After a carpet was completed on the loom, it was taken outside where a worker sheared off the shaggy wool to produce a perfectly level surface, revealing the design in all its beauty and fine detail. A mark of skill, that merely by eye he could avoid hills and gouged valleys in that surface. He used shears about a foot long. At this point, the carpet was likely to be slightly off-square and wrinkled along the edges. A stretching machine corrected these problems in the last operation I saw of the manufacturing process. This entire visit had been a fascinating learning process for me. 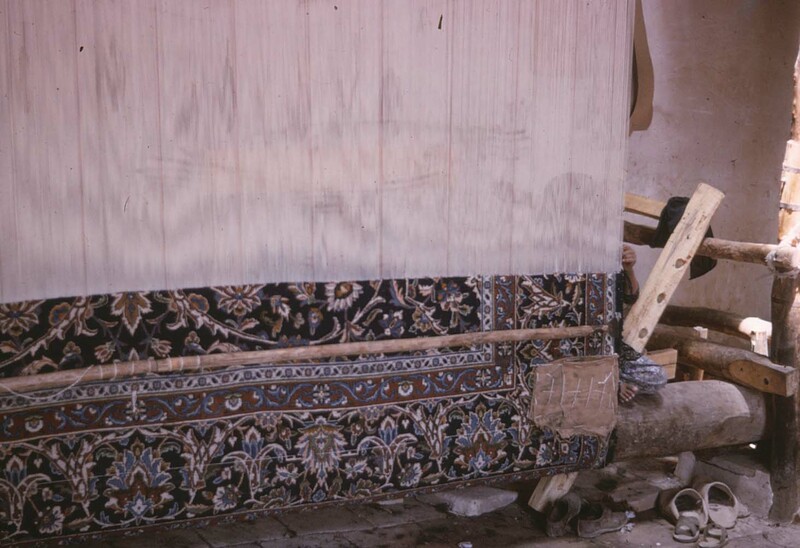 The main point of what I learned was the extreme skill that was applied at each step of producing a carpet – even the steps that seemed simple and commonplace. As we departed, I was reminded of one more fact: In the year 1967, the Shah was still reigning, and his subjects often went out of their way to demonstrate loyalty to him, whether truthfully or not. 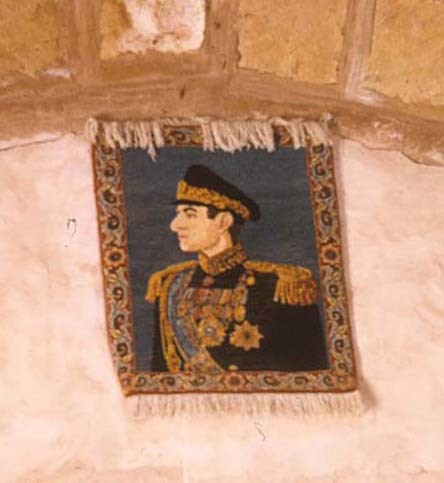 In the foyer near the front entrance of the factory, a small rug hung high on the wall, an excellent portrait of the Shah himself. 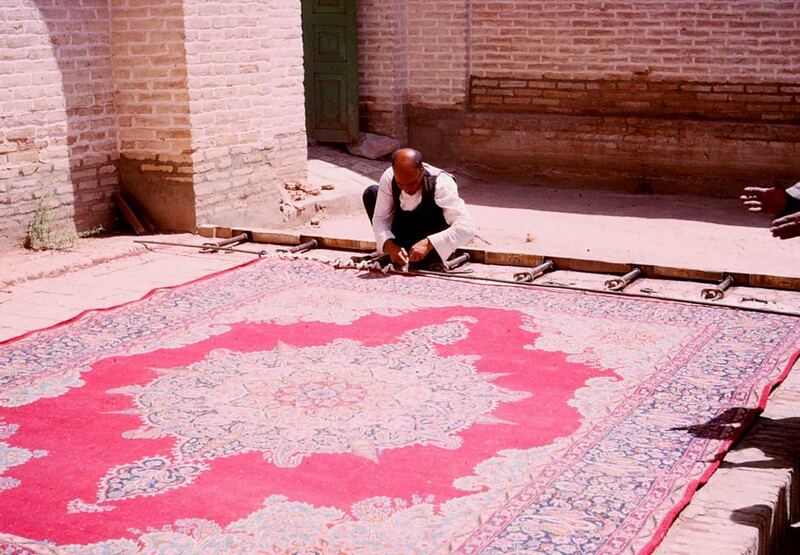 This entry was posted in Travel Adventures and tagged Carpets, Gendarmerie, Iran, Kerman, Persian, Rugs, Shah. Bookmark the permalink. I’d love to help you, but am sorry to say that automatic tweeting is way above my head. Thanks for your compliment on the blog. I’d be glad to help you if I could, but right now your question is way above my head. Thanks for the compliment. faster then most. Can you suggest a good internet hosting provider at a honest price? My provider is WordPress.com. I’m very pleased with their service and price. If they aren’t the actual hosting service, I don’t know who it would be. Perhaps WordPress could tell you. Thank you. My blogging experience has been only with WordPress. I’m pleased with it. I did select a $99.00/year option to avoid commercials, which would destroy the mood I’m trying to create in the blog. Hints: Know your audience and their interests thoroughly, and address these the best you can. If you have a friend who can give you a good review, you are fortunate. If you get negative comments, questions, or valid suggestions, never try to explain or defend yourself — that won’t help other readers who don’t have access to you. Instead, change your manuscript so that these items will never come up again, and consider that you’ve learned a valuable lesson.